This is very sad news, it is especially sad news to receive after a 4-day long Comic Convention. 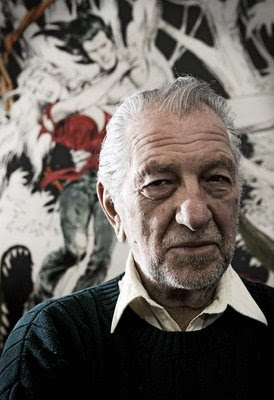 Joe Kubert was an amazing artist whose years on Tor, Tarzan, Hawkman and Sgt. Rock are definitive and his graphic novel Fax from Sarajevo is a classic of the genre. He leaves behind his two artist sons Adam and Andy and The Kubert School (formerly the Joe Kubert School of Cartoon and Graphic Art) in Dover, New Jersey. We have lost a legend but his legacy will live on. RIP.